About the Swap: how does it work? 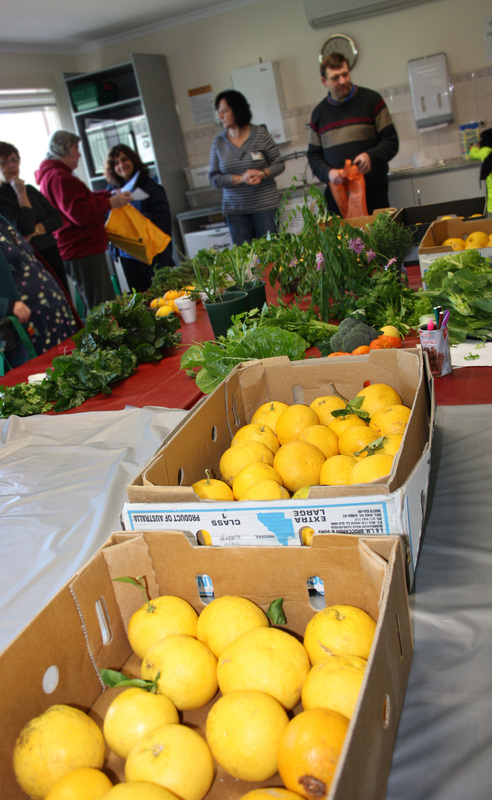 The Semaphore Fruit and Veg Swap happens on the last Saturday morning of every month, 10 to 11am in the Garden Cottage at Bower Cottages Community Centre, 200 Bower Road. 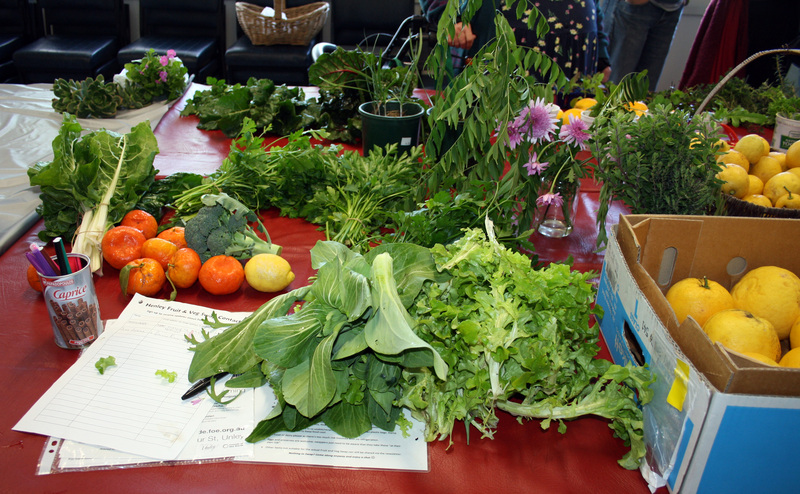 Organically home grown produce can go on the tables from 10am, then take what you can use at 10:30am. Tea and coffee are available at no cost if you would like to sit awhile and chat. If you know someone in this area, please let them know or bring them along. Even if you don’t have or don’t need any produce that weekend, please come along and support the Swap. More Swaps in more suburbs means more fresh, free, healthy food for everyone, as well as fewer food miles. Not only that, but a Swap engenders a great sense of community, and best of all it’s fun! For more details ring the Community Centre on 8408 1394 . Helen that sounds great, you can bundle them up and bring them along to swap them for something you dont have. the next swap is on saturday the 26th of november starting at 10:00am until 11:00am. I will be at Semaphore fruit & veg swap in a couple of weeks. I have cut herbs including bay leaves, sage and oregano. thats great Helen, i will be very happy to see you there. we have our next swap this saturday at 10:00. Hi Margaret, I have recieved your email, what a good idea this vegie swaping is. At the moment I am in ore of the bigest zucchini I have ever seen in my back yard it is not fully grown and there are heeps. The cucumbners are comming along nicely as well. Both grown from Diggers seed. Regards Helen Kavanagh. hi Helen, wow thats great news about your zucchini, i dont know how to preserve them?? you might have to see if you can. i will ask some friends for you. The february swap is going to be great i cant wait to see what people have done. Mery Christmas to you Helen enjoy . See you in the new year. Thanks Helen. I haven’t heard any more on the fruit fly outbreak in my area. They sprayed foliage but that was a few weeks back so I take it that it’s all clear now. Hope so anyway. hi Sue this is margaret, i open the swap on the saturday morning, the fruit fly guys have been releasing sterile fruit fly in the area , they started on monday Feb 27th and will go for 10 weeks. unfortunately we still canot swap vegetables from these areas . there is a hot line you can ring if you want to find out more 1300 666 010. i hope i have been of some help see you at the next swap. Could you possibly tell me where you got the kale seeds from? I really want to grow some but haven’t been able to locate any as yet. Diggers club Adelaide Botanic garden . Its new this year supplies seeds tools and some potter plants. Hi everyone, Drew here wondering if the vegie swap is still happening in Semaphore. I went to the Harts Mill farmers market last week and hope it will grow! I think it is meant to be organic, but I found it hard to work out what was and what wasn’t organic. Hope more sellers start going, but I think it will only work if the prices are low enough and the stalls are free to set up. Time will tell. Enter your email address to subscribe to the Fruit and Veg Swap and receive updates by email.